I have been using RedCal for about 10 years. I always keep some in my horses' stalls and a bucket out in their pasture. It intrigues me how they will go weeks without eating it, and then go through weeks of eating it consistently! Doctor Dan says they know exactly how much they need and when they need it, and I definitely find this to be true. It's interesting if a new horse is put into the pasture with mine: the RedCal is gone immediately! 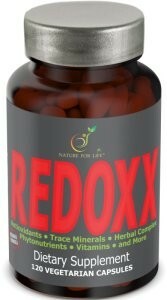 Horses that are deficient really go after RedCal to balance their systems. I love RedCal. Thank you, Doctor Dan! My two geldings have been slowly losing weight this summer. Nothing was helping. I was getting desperate. 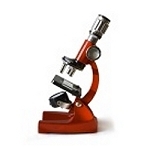 Then I stumbled across your website and everything I read made sense. I decided to go for it. I got rid of their commercial feed and blocks n fed oats and Red Cal. The transformation is stunning!! It has only been six weeks and they are now fit and healthy. They positively shine! Your product is totally amazing! I admit it, Im a skeptic. I should be from Missouri, because there are so many false claims on products out here, my first response is "show me!". Red Cal works, my horses have shown me! It does everything Dr. Dan claims and more! A friend of mine recommended this product to me. I visited your booth at the Equine Affaire in MA this past November and purchased my first bag. My horses have taken right to it! They barely touched their salt blocks - even the Himalayan type. 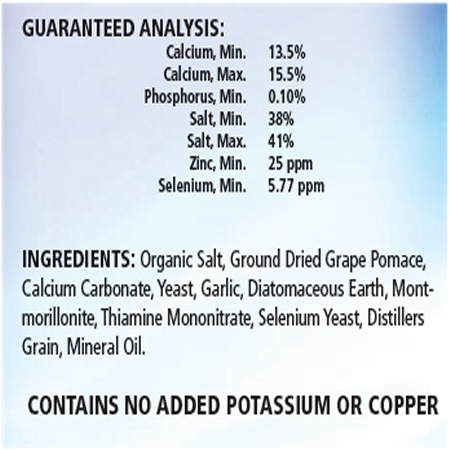 I feed this free choice and feel so much more confident that they are getting the minerals they need this way. Thank you! He Just Won't Eat It! I have fed Red Cal per the instructions and my horse won't touch it. I've tried different feeders and buckets, inside and outside, but he won't go near it. I've tried sprinkling a little on his food as suggested - nope, that didn't work either. I recently started my horses on Red Cal. I noticed some nasty behavior out of my horses this spring, right about the time the grass started to green-up and after doing some reading, determined that it was probably related to minerals (or the lack of them in Florida soil). Since the Red Cal, I have seen big attitude changes in a short period of time, most notably in my mare. Red Cal is a must have! Feeding free choice Red Cal is the answer to any horse owners concern over salt and mineral requirements. Horses take to this right away, and after the initial introduction where they eat it up, they return to satiate any need at their leisure. My horses never lack water in their system either, as they drink regularly while Red Cal is provided. 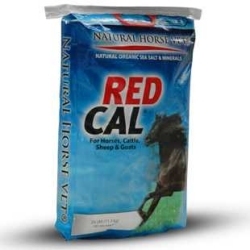 Using Red Cal as part of my feeding program through The Natural Vet keeps my horses healthy and happy! I have worked on a horse farm for 3 years and watched horses gobble down mineral blocks week after week, month after month. 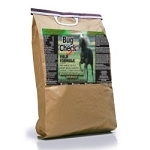 So when I bought this for my young gelding I was very surprised to see he ate very little. I actually thought he wasn't eating it at all for awhile until I started noticing little nibbles gone here and there. He is doing so well on this small amount I am going to start feeding the rest of our farm this product too. He eats what he needs and not more than that like you see with molasses mineral blocks. I am sold!! I first say this product at the Equine Affair in CA a few years ago. I had a BLM mustang that just wasn't as hardy and healthy as he should've been. He had all sorts of skin issues and the bugs wouldn't leave him alone. I purchased this product and he gobbled it up. After a few days he regulated his intake. Within a month the difference in him was incredible. His skin was great, he wasn't being bothered as much by the bugs, his coat was beautiful. He was just plain healthier! I wouldn't go without this product or waste my time with salt blocks. This product is great for growing tail hair..I had 3 horses with short tails that have doubled their length in just one year on this product...my daughter's show hunter now has a tail! One of my horses never touched any salt block. I was concerned that she missed out on vital supplements. As soon as I provided Red Cal she ate it willingly and with enjoyment. They ate the first bag in no time but then slowed down, presumably after their needs were met. It's nice to provide a supplemental nutrition that the horses enjoy. 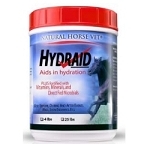 Our horses really like this mineral and must need it badly for I most days it gets all eaten up. It helps me to know how they are doing mineral-wise, too! We've been using Red Cal for years. To see our horse's response to Red Cal was amazing. At first our Foxtrotter licked it up like candy. After about a week we saw a big drop. From there an occassional lick. Then, as the pasture (where we boarded then) was going downhill, our girl started taking more of her Red Cal. Other horses started to colic mildly and dehydrate. Our girl NEVER did and continued on as if all was ok. And because of Red Cal---It Was !!!! It took a while to convince my partner to try this product on our racehorse, but now the results are evident and positive. Not only is the thoroughbred drinking more, but her coat is now dappling, which is a lifetime first for her! Can't wait to see how she looks in another month. Oh, by the way, she noticeably improved her speed and recovery time from workouts. We just missed getting the win photo!!! I have used Red Cal for a year now and have had no colic issues with my horses, even though the weather has been up and down like a toilet seat! It is difficult to get through tough changes like that without any stomach upsets with my horses. I am sure it is because of having Red Cal free choice that is available, plus when I know the weather is going to have a drastic change, I sprinkle a little Red Cal over their oats that evening. No colic for me! Yay! Red Cal helped my horse beat Lyme. The negatively charged calcium montmorillonite clay attracts the positively charged spirochetes acting like quick sand. This prevents the spirochetes from breeding and eating until the body naturally passes them as waste. There are so many benefits to this product. Don’t underestimate it. I cannot recommend this product enough. My horse developed salt toxicity after eating almost an entire salt block . I had to remove the salt block holder and instead purchased Red Cal and now administer his salt along with his feed. This has worked out so much better for him. He lnow ooks and feels so much better . Thank you for this product, I don't know what I would do without it. I started feeding Red Cal, Just add Oats and Bug Check to my two rescued Curly horses that I brought home a year ago and the results have been astonishing. Better body condition, better coats, fewer flies. I am well pleased with the products Dr Dan provides! The results I have seen from Redcal Grow have been nothing short of amazing! I have several horses. One has metabolic syndrome and is constantly over thin from medication or over fat from Cushings. His coat is extremely thick and patchy. With the Redcal Grow, he is no longer on medication and his weight is stablized, his coat looks great, his feet are so good he even goes out on trail a bit now. Another horse I have has had a hollow back with no muscles along her spine. The only way to get that area to fill in was to overfeed her to a point that wasn't healthy. Saddles never fit so riding was not comfortable for her. Since Redcal Grow, she has filled in all those areas!! She looks 10 years younger. Her coat is beautiful and I am going to start riding her again. I have other horses that have had remarkable changes to their bodies and attitudes. I recommend Redcal to everyone I know. After reading Dr. Dan's description of Red Cal and in my attempt to care for my horses to the best of my ability, I tried Red Cal. All of my horses love it. I was thrilled when all my horses took it readily in their introductory serving. Then I became surprised when they ingested it more rapidly than they used their old salt block. But once they received what they needed, they tapered off and now take it free choice. My horses reaction to this product was the last piece of evidence that I needed and I am now a fan. I top dress all four of my horses feed daily with Red Cal. Their coats are so shiny and soft! I would feed Red Cal free choice,but our cows love it and eat it all before the horses can :). Placing my 3rd order today! 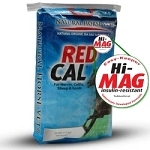 Red Cal is a superb supplemental mineral, vitamin, and herb addition to any Equine diet! 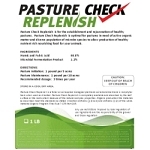 It buys you peace of mind that you are not only supplying your horse with the finest supplement Nature has to offer, but also doing proactive prevention of gas colic, GI tract problems, and an unbalanced feeding program! 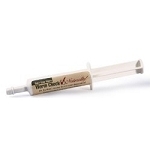 It is difficult to predict what elements may cause health issues for horses, and often imbalances can occur quickly, so having Red Cal is essential in preventing attacks that frequently result in vet visits, acute care, or worse! Thank you Dr. Dan, I am thrilled to provide this for my best friend, Thunder! This is a wonderful product. I never have to worry if my horse is getting enough salt and minerals! After a minor colic episode last month our vet suggested feeding oats. He's a big fan and agrees they won't make a horse hot. I was already researching alternatives for my mares grain since her very high quality complete feed had transformed her into a fire breathing dragon. I was on board for the oats but knew a mineral block wasn't going to cut it to help balance out the minerals since she barely touches them. I want to be sure she is getting the right mix for her. More research led me to Red Cal. Our shipment arrived today and she's already nibbling away and quite pleased with the taste. I'll be happy to see if our pony takes to it as well. So far so good. I have been giving Red Cal to my 26 year old Arab mare, Crystal for about 5 years now. She looks and acts like a 10 year old. She still loves to go down the trail. Great product. You won't be disappointed. I put Red Cal in our horses mangers for free choice access when they are in for meals. They like it and use whatever they need. We have a cow who regards a little Red Cal as a special treat in her grain pan even tho she has free access 24/7 to a trace mineral block. Red Cal is always part of our feed program when our horses are on the road being heavily used. My horses love this! Did wonders for them down in Florida and they seem to enjoy nibbling the salts rather than licking blocks. They dove into it at first, but now they just take some when they need it. You should try it. Can't say enough good stuff about this. Use the "Feed for Success Program" You won't be sorry!! !